I got a text last week from my brother, he is the oldest of all of us kids. It read WHAT ARE WE GOING TO DO ABOUT MOTHER’S DAY? My first instinct was to not respond. To avoid the thought of celebrating that day. It has only been three months. I wasn’t ready to celebrate that day without her. I was still and couldn’t respond. My sister then responded I’M GOING TO LAY IN BED AND CRY ALL DAY. I watched the text conversation and still I never responded. I felt the same way. I didn’t want to celebrate Mother’s day, although I am a mother, to me is was just another day coming, without my Momma. I cried when the messages went silent. I knew both my brother and sisters were feeling just as I was, probably crying as well. I thought back to last year’s Mother’s Day and I remember how sad I felt about celebrating without my mother-in-law being present. She had passed a month after Mother’s day of the previous year. My Momma had said to me “the first year without them is the hardest, but once you conquer those holiday’s, the rest won’t seem so bad.” My Momma’s voice played over in my mind, as if she was reciting those words to me again. After a couple of days of not responding, a voice inside my mind said, WE CAN’T AVOID MOTHER’S DAY, MOMMA LOVED TO CELEBRATE MOTHER’S DAY! This voice was loud and wasn’t taking no for an answer. You see, my mom loved to celebrate all the Holiday’s, she really didn’t celebrate Mother’s day because she was a mother; she celebrated all MOTHERS. If you were a Mother you were some kind of special. She would bring potted plants, cards, and goodies to every mother on Mother’s Day. The first year I was a Mother, she made sure I knew Mothers needed to be celebrated, she slipped me $50 to go get my hair done. Meanwhile, all I gave her was a card with baby split-up on it and a couple of scratch offs. Today, I totally understand why all Mother’s need to be celebrated, and I hope I can become the mother that she was. So as I pondered on my thoughts and feelings about “Mother’s Day”, I knew we had to make something happened as a family. We need to still congregate together without Momma and celebrate all Mother’s. Not the fact that our mother was gone. I know she will be right there with us, she is already appointing everyone a responsibility. She wants me to bring some homemade macaroni salad. You know, the kind of macaroni salad with the little salad shrimp in it? One of Momma’s favorites. We all decided to keep it simple. We have planned to all arrive at Momma and Daddy’s house, cook some hamburgers and hotdogs on Daddy’s grill, the one Momma had gotten for him last year. Add some slaw and baked beans to the plate and enjoy time with Daddy. We will celebrate all Mother’s. The Mother’s here and the ones in heaven. Sure it will be a tearful day without her, but I can assure you this, my Momma would approve. HAPPY MOTHER’s DAY all of you awesome MOM’s! Have you ever watch a horror move? The victim’s response to the monster or villain is either fight, flight, or they freeze. These are the natural human response to the monsters in our lives. These monsters are our hardships, hurdles or just plain and simple, our emotional setbacks. Today, mine is Grief. Throughout my life time, there has been many, and with each one I faced, I responded with one, two or all of these responses. My word for today is paralyzed. I get this overwhelming pressure of loss when I think of my momma, today marks one month. I feel dread, fear, all the monster in this horror show. Which in turn, I face it, but don’t move. I can’t move. I am like this helpless creature just waiting without acting but allowing the monster to consume me. I’m paralyzed. My mother’s passing has brought all of the responses in my thoughts. I feel as though I am fighting my way out of pain. So I am in constant search for a strategy to find my way to end this fight. That is where the flight comes into play. I want to run somewhere, to a place that I feel peace in my heart. If not peace but a sense of healing, so here I am again writing. I have had my altercations with depression and I never want to return to that dark place again because that is not me. Yet right now I feel its ugly face staring me right in the eyes. I’m scared but fight mode isn’t kicking in… Flight process isn’t an option. So I freeze. I cry, get on my knees and pray then get up to write. I miss you Momma! For years, even as a young girl, I have written letters through struggles or problems that were weighing heavy on my heart. Letters that would contain words I could never say or understand, questions of why I was suffering. Those were the first words I wrote after she passed. I was struggling with “being in the moment” with my writing. I had so much to say but couldn’t write it. So I asked myself why? “MY MOMMA DIED!” Screamed at me. So I wrote it. Was I being too harsh with myself? Probably. BUT on a lighter note, I came up for a breath. I wrote. Let me start by saying my Momma and I made a deal to write together. We even jokingly talked about after she passed we would channel each other and continue to write. I know, sounds crazy, it is just something I believe is possible, because writing for me is a link to something DIVINE. God? My higher self? The universal realm? A collective conscience? I haven’t written in months. This is not me. So I asked myself why? All I could do was answer with positive thought. Example. “You write to inspire.” A voice in my head answered. Then I say out loud “How can you write Jorja when you have NOTHING inspirational to say. My Momma died!” I screamed at myself again. Brutally honest, I was. In that perfect moment of realization, I knew how I could inspire… so here we go. I found some writing exercises’ to do, which I didn’t realize I was already using these tools, my family was as well. Here are some techniques to help you heal through your creativity, regardless of your niche. During the preparation of my Momma’s service my sister’s and my aunt went through dozens of photo albums and buckets of pictures. They made picture board of my beautiful Momma. At her service I realized that I struggled looking at my Momma in these pictures. I was upset with myself because I couldn’t enjoy them, but I saw how it was helping them heal. So I became desperate to find my way to healing and here I am…WRITING (My words)! Dig deep into your heart and use one word that describes the feeling you feel. Write it. Here is one of my words (I have been doing a word daily) I am amazed at how many words (feelings) I go through each as powerful as the next. I am lost. I can’t put my finger on it but I don’t know which direction I need to go. I can’t focus. These are the times I needed Momma most because regardless of what was happening around me I knew Momma could somehow make it seem that the world wasn’t falling on me. Now that she is gone I feel lost and underneath a pile of rubble. With more being dumped on me daily. Hopelessly lost. This was the first exercise I did, not even realizing it. “My Momma died.” Here is a tamer version. Describe your three words and why you choose them. Feel them. Momma always made me feel as if I was home. No matter where we were, sitting in the car in the Wendy’s parking lot eating a cheese burger, because she was too exhausted to go in after her dialysis treatment. Stopping by my house after getting her hair done at the Hair dresser, or even moments driving home after I suffered my first broken heart or first failure. The feeling of home, security, love, warmth a place you long for after life’s demanding of your time. That was my Momma. Her heart loved and loved me more than I think I loved myself. Now she is gone and I feel like I’ve lost my home. This last exercise for today was the hardest one for me, but I received the biggest reward from this exercise. It made the biggest impact on me. I suggest doing this exercise for yourself and it doesn’t have to be to someone who is deceased. Write a letter to that person. Write feelings, memories, and your perception of life. Remember this doesn’t have to be perfect, edited or even make since it is YOUR letter. I think of you often, but not as much as I should. You see, when I think of you, I get this overwhelming pressure in my chest and my heart begins to hurt. I think my heart is breaking Momma, so I try to avoid seeing your beautiful face in my mind…I can’t handle this pain!! I am trying to look like I am strong, put together, like you did when Nana died. So I cry when I am alone, because I don’t want the boys to feel my pain. Just like you did Momma. I am missing you already Momma. I try not to because I know it is going to get harder the longer I go without having you in my life. I’m missing you so much Momma. I’m not sure I can do this without you. Momma are you there? Write a response letter from that person. This is the hardest part of the exercise. But this is that link to connecting to them even though they are or aren’t alive. A subconscious connection. Jorja this is your Momma, I just wanted to let you know honey that the pressure in your chest isn’t your heart breaking. It’s me squeezing all the love I have into your heart, so my love can make you love so much bigger. Those tears that drip from your eyes, are cleansing the sadness, to make room for the funny stuff, because I am quit fun-loving. And Jorja Beth, there is no need to look strong, you are strong and put together. You are my daughter aren’t you? Oh Jorja, the pain the boys feel isn’t yours, it is their own, and they need to see that it’s cleansing their sadness as well honey. There is absolutely no need to miss me, because when you called out I answered, I’m here. Didn’t I? I always liked to think of myself as angel. Remember this, we were going to write? You promised to sit by my grave side and we would write stories together. Let’s get to writing. Write me back so I know you got this. I am adjusting. I am grieving and most importantly I am healing. One day at a time. One word at a time. One exercise at a time. And the biggest part of all of this, I am WRITING with my Momma! I love you Momma! How many of us that watched the fight woke up from a dream of boxing? Well, I did. This girl right here… I was boxing in my dreams. I was winning too. My opponent was swinging these massive punches at me and at the right moment, I would duck and then jab making direct contact with her jaw. It was very vivid dream. I ducked and jabbed several times not once allowing her to make contact with my face. Yet I felt, if she did make contact, I was okay with it because either way I was going to win. So now you know, I learned something about myself, all from watching Mayweather verses McGregor. No matter what I’ll always win the fight. Remember this, when you are in the ring, the toughest opponent is always yourself, and not some unknown fighter. #FREE #FRIDAY Book one and book two! Hey Family Friends and Fans! 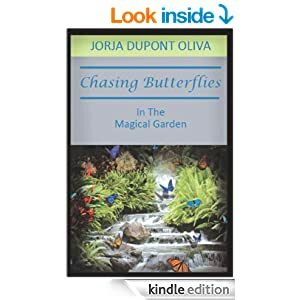 To celebrate the release of SISTERLY I am giving Chasing Butterflies in the Magical Garden KINDLE EDITION #FREE on Amazon for the next THREE FRIDAYS!! 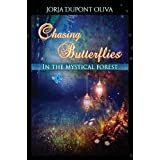 To add to the celebration Chasing Butterflies in the Mystical Forest is #FREE today and the next Two FRIDAYS and SATURDAYS!!! You guessed right! 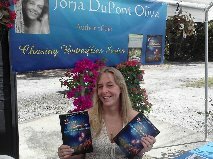 BOTH BOOKS WILL BE #FREE! Just click the buy button and it is all yours! One year of being a published author! So friends, it has been one full year since I became a published author. 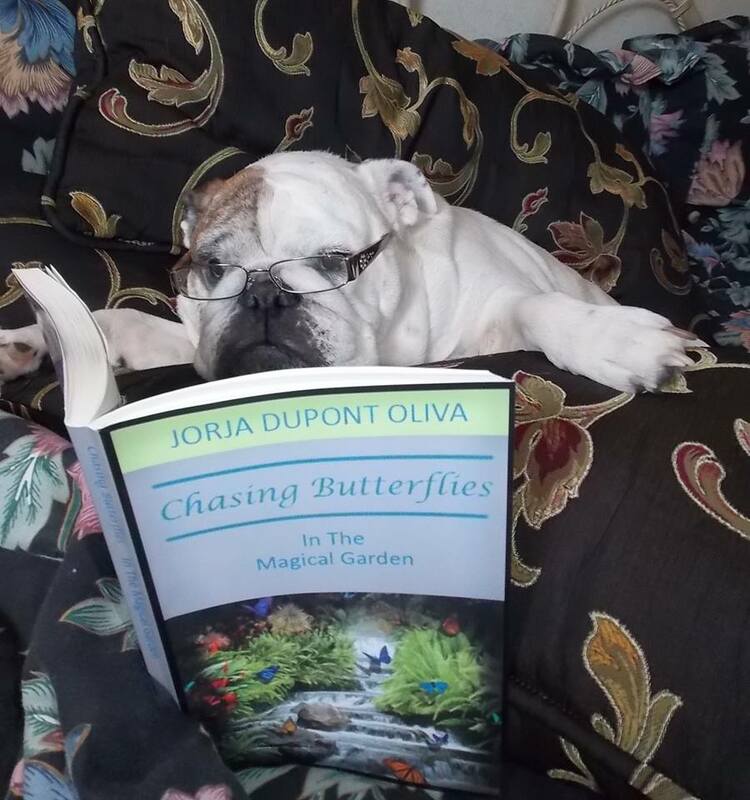 Chasing Butterflies in the Magical Garden was Published November 30,2013 and my release was December 7. 2013. It was an amazing time for me (Still is but with two books under my belt I feel a bit smarter) I know all books have TYPO’S and I did have some, still do…I wanted to give the book one year and then revise it, get rid of some of them (if not all). 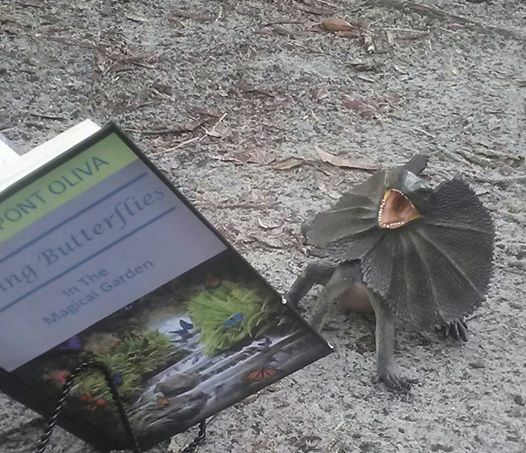 2015 I have plans of doing a revised version of book one Chasing Butterflies in the Magical Garden for all the TYPO Nazi’s I aggravated. (sorry again) I’m even considering changing the cover. 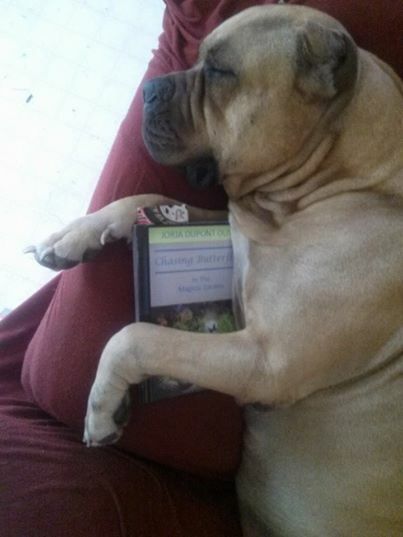 (Not sure yet) Big publishing house’s do it all the time. So I asked myself why can’t I do the same! It’s been a year of wonderful adventures, I’ll share some great moments with you. This was my first books signing. The picture is of me and my publisher/teacher/mentor Michael Ray King. I love this picture because for one -look at my face! 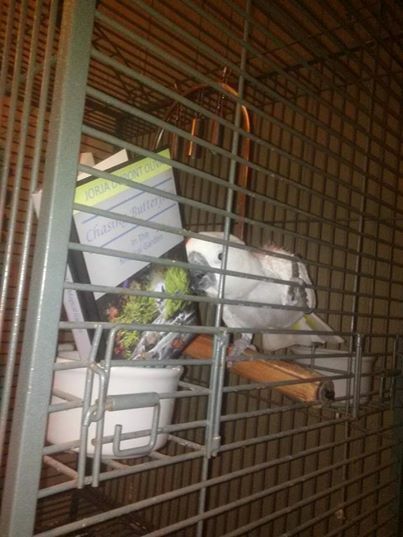 And notice my book! It was me, all me, and it was MY perfect-imperfect masterpiece! 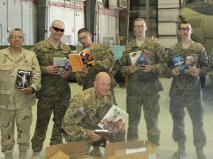 This is and event I became involved in- Authors Supporting the troops- sign copies of various authors sent books over seas to the troops, and I plan to do this again this year with book two. I have to say, when I saw my book, MY perfect-imperfect masterpiece in the a solders hands I felt honored to be a part of the event! 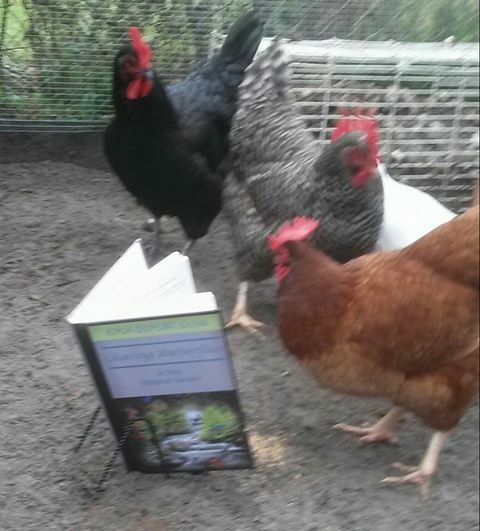 This was two contest that I held to get MY perfect-imperfect masterpiece to be noticed by new readers. 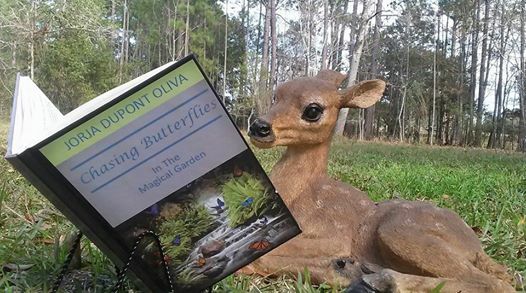 Favorite Magical garden photo and Favorite fan picture! That was fun to do with MY perfect-imperfect masterpiece! 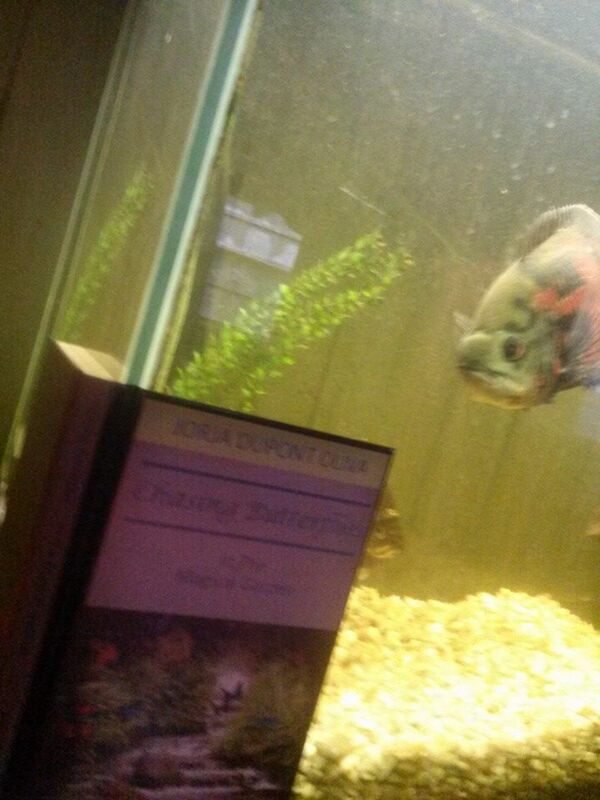 This was a picture taken at a book store in Flagler Beach-Change Jar Books. 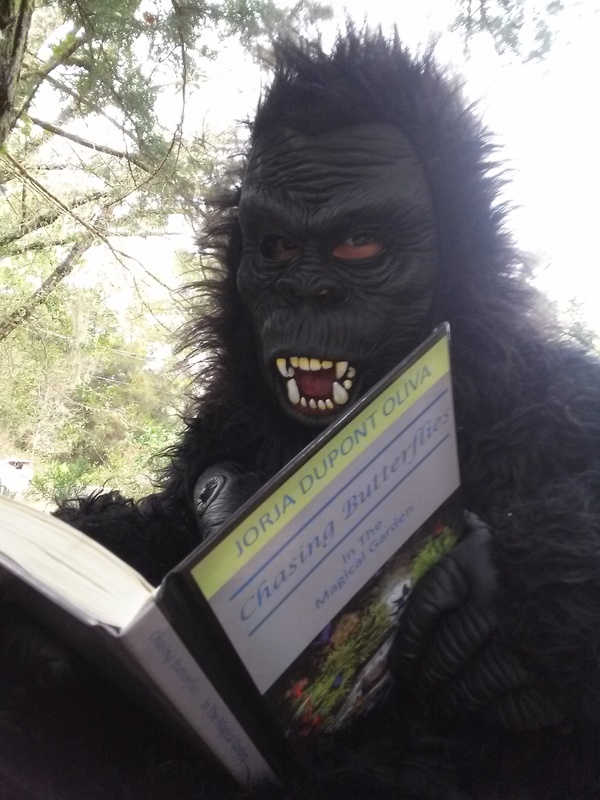 It was a great day, local authors gathered to this event. Change Jar opened at a new location, bigger and better. 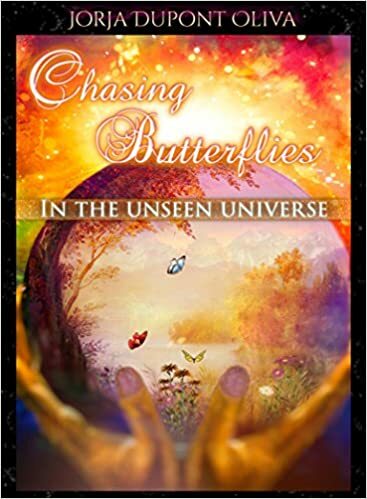 Last, but not least my second book- Chasing Butterflies in the Mystical Forest-Book signing. Another great chapter in my life. Wow, how I’ve grown. MY perfect-imperfect masterpiece was there beside me on all of the journeys. 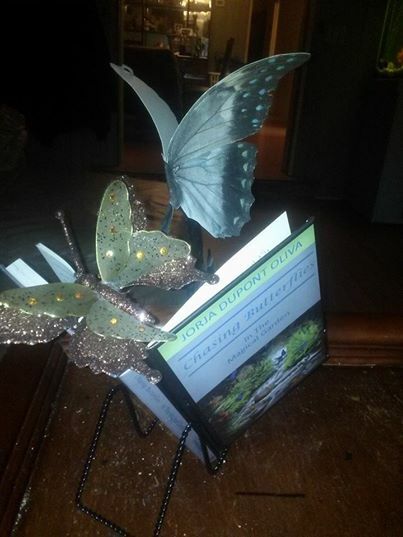 Revised Version of Chasing Butterflies in the Magical Garden will be out 2015. Thank you to everyone that has supported me and journeyed along with me. Remember to embrace and love your perfect-imperfections because they are who you are. 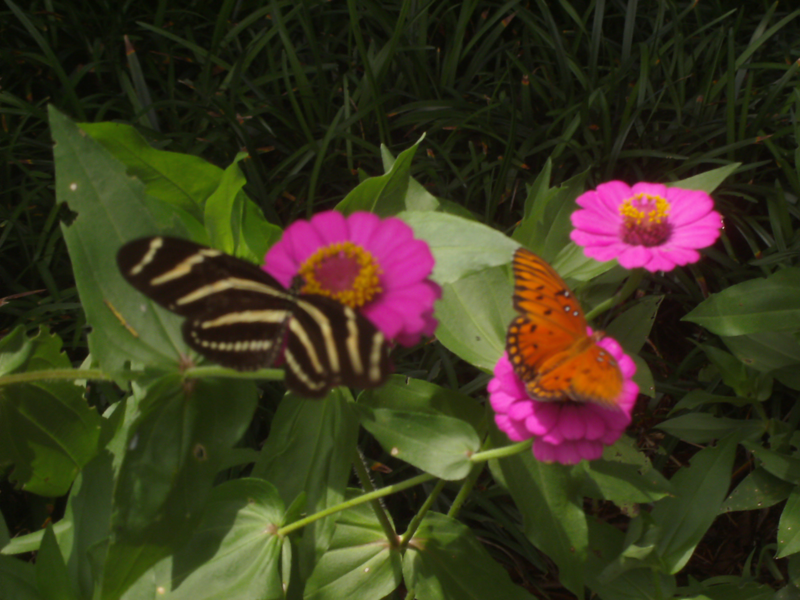 They fertilize your growth and feed your soul to help you become the best that you can be. I will say, this is a start to a wonderful future! I always said, an animals instinct is always right! 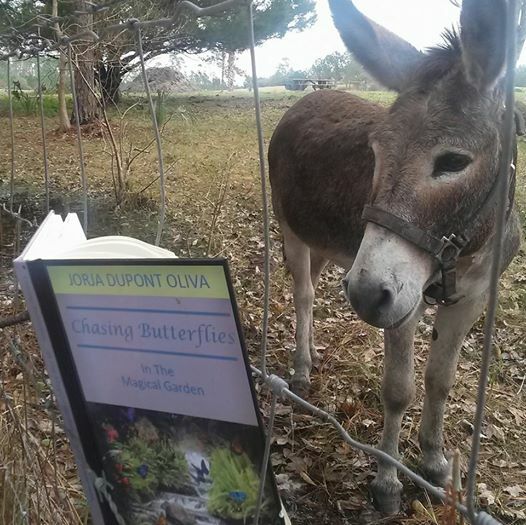 Chasing Butterflies in the Magical Forest- Book two in the Chasing Butterflies series is 40% finished!!! !